Roger Anderson, Ph.D. is a professor of public health sciences and the inaugural associate director for population sciences and co-leader for cancer control and population health research. 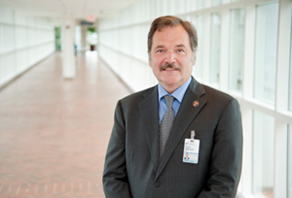 His work brings a population health perspective to cancer prevention, treatment and outcomes to the UVA Cancer Center to further its mission to improve the health and well-being of the population it serves. Specifically, Anderson works to develop sound knowledge and evidence on how to effectively lower the cancer burden among diverse populations; reduce cancer health disparities locally and nationally; and facilitate, test and implement the translation of new knowledge and technology to practice in our communities. His research interests focus on cancer health disparities and access to health care in rural Appalachia and healthcare system and policy effects on population health.